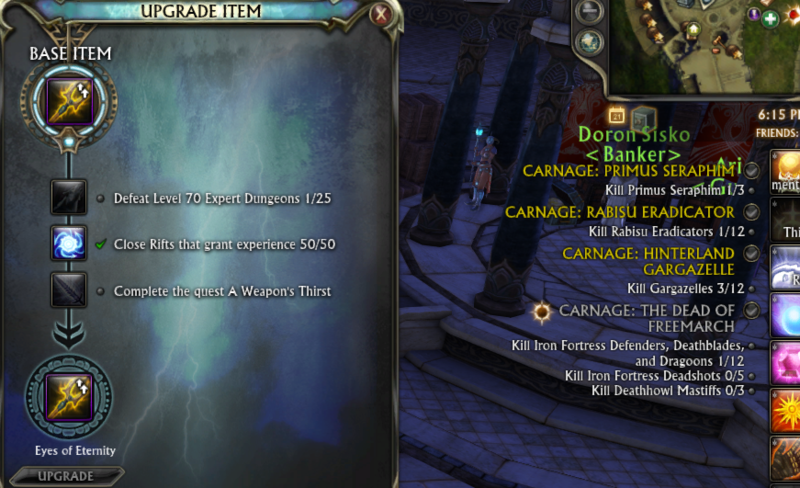 RoughRaptors: OFFICIAL: QOL: Eternal Weapon Upgrade Update! 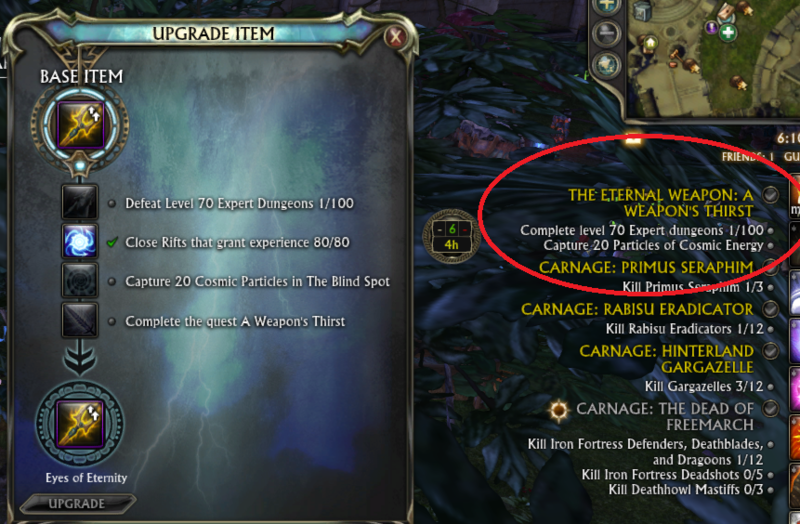 Thread: RoughRaptors: OFFICIAL: QOL: Eternal Weapon Upgrade Update! Possible bugIs the quest "A Weapon's Thirst" still completable? Has it changed?Live with the quest active: Straight copy PTS and look - where is the quest? : Someone on Discord was saying they couldn't find it. Can someone on the Expert stage on live with more than 25 dungeons and 50 rifts done see if they can find/complete A Weapon's Thirst? I don't have any characters I can do that on. Check Beoric Oswell in Alittu for starters. Well, this was a fun one. I just fixed it, and I gotta say it's a pretty amusing bug (to me at least).